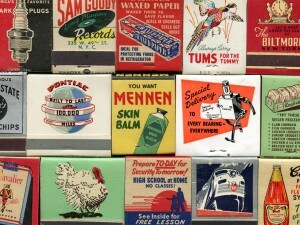 Ephemera; what an useful word. A paradox of sorts, that one word can mean trash or treasure depending on your point of view. Meaning transitory, meant to be thrown away, trivial, here today, gone tomorrow, trash to many, much of it over the course of time, can become quite valuable, or at the very least, interesting. 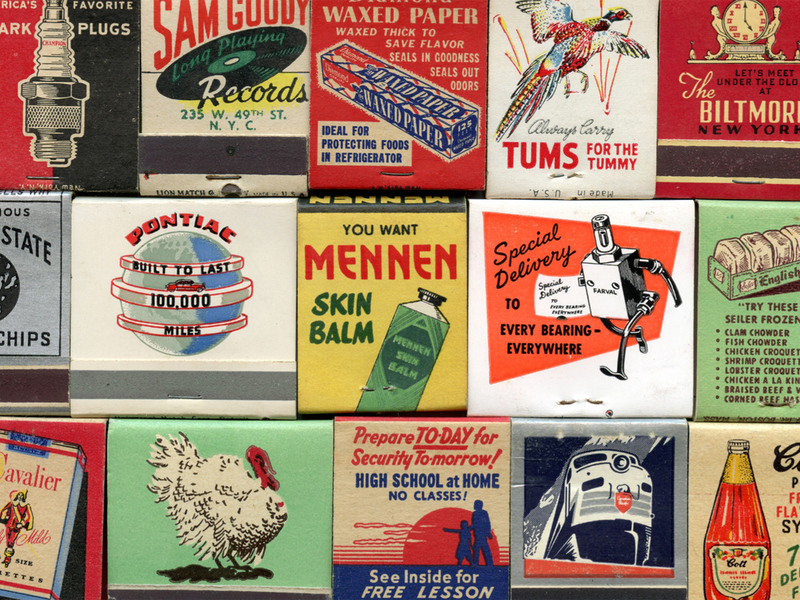 That matchbook, advertising Art Instruction Schools (Draw Winky) , those free movie passes for Bambi meets Godzilla, a bus ticket from Firenze to Fiesole, the valentine you received from your sweetheart in kindergarten; all ephemera, meant to be used and discarded as trash after they are no longer useful; the jetsam of the printed world. Destined to be picked up by the Monday morning garbage truck, some of it nevertheless ends up in scrapbooks, in haystacks secreted around the home waiting to become useful, while a small part of it defies all odds and actually ends up in collections that will one day be trotted up to the attic, waiting to be discovered yet again; Or perhaps, as in the case of Jessica Spring, never needing to be rediscovered in the first place. 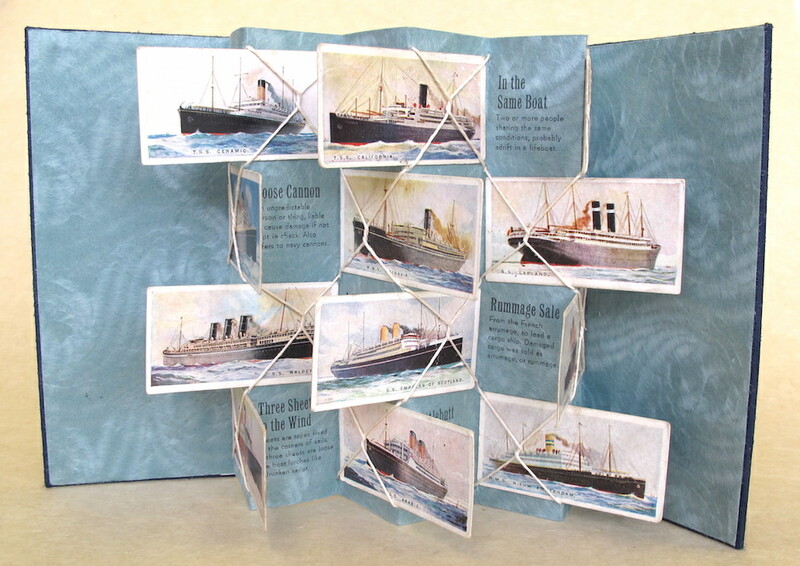 Book artist Jessica Spring often incorporates ephemera in her work, provoking viewers to reconsider the treasures they’ve squirreled away as potential fodder for artwork. 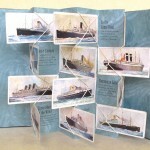 Her new artist book, Fathoming, incorporates vintage cigarette cards and antique nautical maps bound in a variation of a flag book with miniature ropes. A recent exhibition, reCollection: An Ephemeral Exhibition of Exquisite & Eclectic Ephemera utilized both Jessica’s and her father’s collections to create an installation in Tacoma’s old post office building downtown. 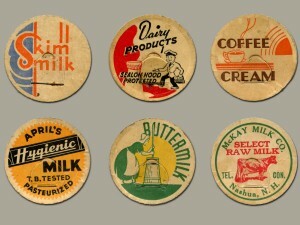 Hundreds of vintage milk bottle caps and matchbooks from the 30-50s lined the walls, and also provided inspiration. Jessica based a series of prints incorporating linoleum cuts and handset type to reproduce the ephemera at 400% of the original size, capturing the palette and design sense of the glory days of advertising. Jessica’s work and the collections of her father, encourages us to begin our own accumulations, if we haven’t already. Not all ephemera is printed; The sea glass found on Ruston Way, small pieces of driftwood found on Case Inlet, even those rocks and pebbles found in last year’s vacation at La Push, come to mind, to name only a few. 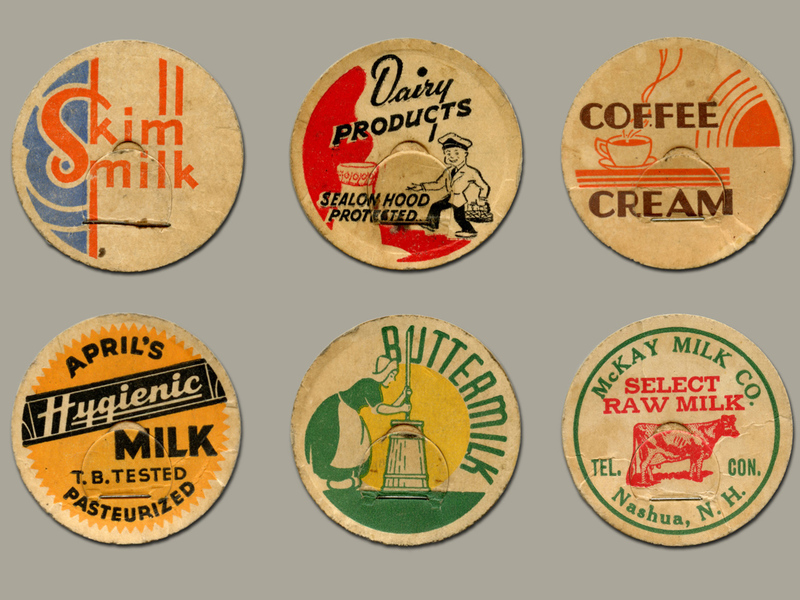 Whether it is mementos from a sunny day strolling on a beach, the old baseball cards in a shoebox, the cut-out dolls in an old McCall’s magazine, or postcards from long ago, it becomes obvious, the ephemera found in our own homes, defines who we are. Jessica Spring is a Tacoma artist and owner of Springtide Press. Read about her recent exhibition, reCollection: An Ephemeral Exhibition of Exquisite & Eclectic Ephemera, at the Spaceworks Artscape in 2014. Learn more about Jessica, her father’s collection of ephemera, and how she incorporates the collection into her work, by visiting Jessica’s Tumblr site. This entry was posted in Exhibits, Lectures & Presentations, Member News. Bookmark the permalink.